It’s funny — When you hit a certain age, it seems like everyone around you gets engaged at once! Life changes happen quickly and are made more enjoyable by celebrating with your nearest and dearest friends and family. Chances are, if you are getting married, one of your friends or siblings is too! How do you balance “your time to shine” while still being there to support the ones you love as a bridesmaid? As someone who will be in quite a few weddings in the year leading up to my own wedding, I took a hard look at my responsibilities as a bridesmaid ahead. From the dress to the gifts, hair and makeup, and nights out celebrating with your best friends, the costs of being a bridesmaid add up! This can take quite a toll on your bank account, especially when you are trying to save for your own wedding. In addition, the bachelorette, shower, and wedding weekend are a huge time obligation, as bridesmaids help with décor, set up, invitations, and whatever else needs to happen! I realized this huge commitment needed balance with my own needs as a bride-to-be. Now that I am about to request the same commitments from my own bridesmaids, I was able to consider what is most important about the role. 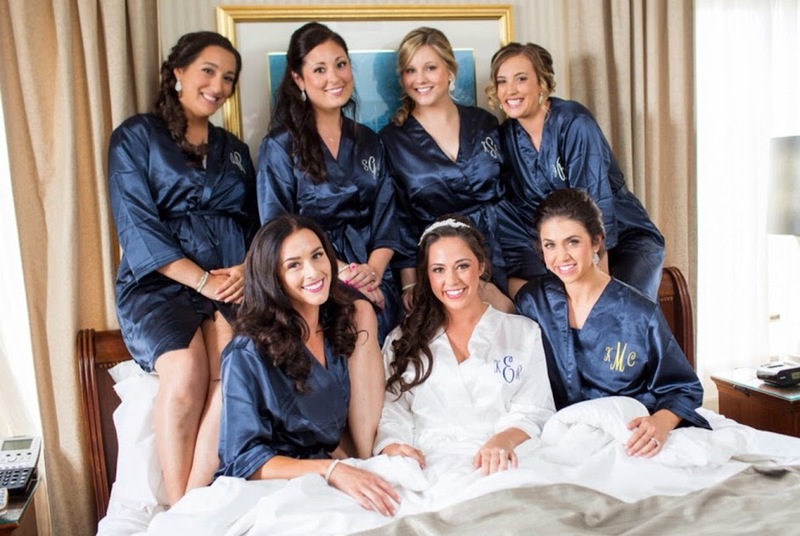 Ensure that everyone feels included in the bridal party. Offer to gather emails and phone numbers for everyone and start a conversation well in advance, or organize a lunch, so that you can get to know the other bridesmaids before the big day. The bride will thank you for taking on this task, and you will all have more fun together come the wedding! Be a team player. It is unlikely that everyone in the bridal party will have the same tastes, thoughts, or availability. Remain flexible so that you can all support team bride! Be mindful of the time and expenses that come with being a bridesmaid. I was able to sign up for coupons on the websites for several of my bridesmaid dresses, and it saved me up to 30%! I also waited for sales on accessories like shoes and jewelry, and waited for promotions like free shipping to be offered when I could. (There are some hidden gems even in Rhode Island for snagging great pieces – Check out Domaine for great affordable jewelry!) If you start early enough and remain vigilant, there is bound to be an opportunity to save money either online or in store. 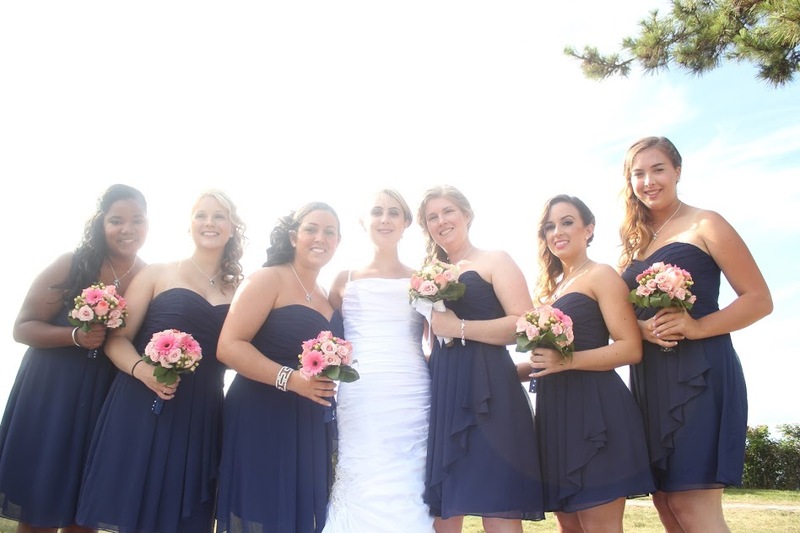 Book your appointment for dress alterations early and coordinate with the other bridesmaids to ensure a uniform look. Nothing is more stressful than last minute wardrobe problems, so give yourself and the bride plenty of time to correct any mistakes. Use a trusted tailor or get the recommendation from a friend or family member who has been recently and has received quality work. Make a plan to celebrate the shower or bachelorette well in advance. Not only will this allow everyone to block their calendars off to celebrate with your bestie, but it will also give guests time to save up extra money and ask for time off of work. Giving yourself enough time to save and plan will ensure you do not get overwhelmed – after all, you are planning your own wedding too! Offer to host a gathering for wedding preparations. Does the bride need help addressing envelopes, making centerpieces, or picking out favors? Make it a girl’s night and turn a chore into a fun task you can do together! A bottle of wine and a few snacks will make the time fly! Offer to manage one wedding day task. Does grandma need help getting to her seat? Does someone need to check the floral arrangements before the ceremony to ensure they are correct? Offer to go and see so that the bride does not worry and remains concealed until her walk down the aisle! Listen. Wedding planning is stressful – (you should know!) Sometimes the bride just needs a night out to vent, or just forget about wedding planning for a few hours. Do not forget to talk about that new class she is taking, or that 5K you have been planning to do together! Offer your honest opinion, but pay attention to the bride’s taste. Just because you tried on that same style wedding gown (and hated it) does not mean the bride needs to know! Instead, listen to what she truly likes and back her up when you need to. The same goes for the dress she has picked out for you to wear as her bridesmaid. Have fun! You were asked to be a bridesmaid because the bride knew she wanted you nearby on one of the most important days of her life. Take this time to celebrate not only your friendship but also her future! Being engaged is more fun when you get to celebrate with those closest to you! It might take a little extra work, but put in the effort to help your fellow brides-to-be and reap the rewards when it’s your time. Your bestie will thank you for it and will remember it for years to come!